EAU CLAIRE, Wis. (RELEASE) — Last night shortly before 8:30pm Officers were called to Walmart for a retail theft in progress. They were told a female, and her dog had shoplifted items from the store. When Officers arrived at Walmart they found the female, Lisa Smith 46yo, screaming in the entryway and trying to catch her dog “Bo”. 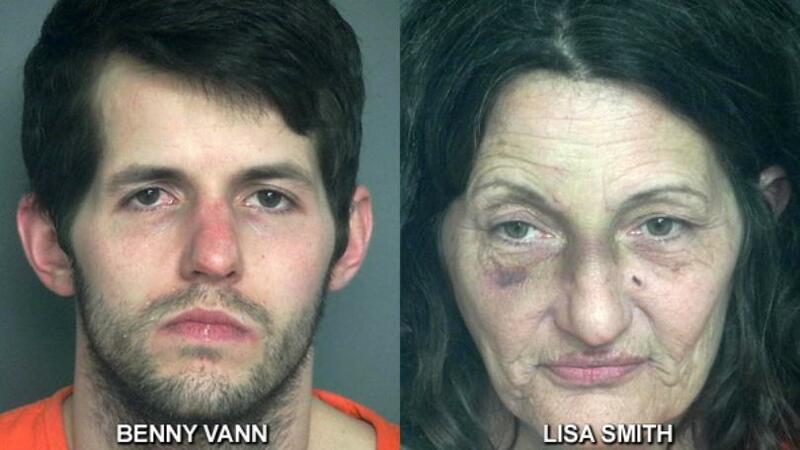 They also learned that her son, Benny Vann 25yo, was in the store causing problems.